Disney World has its own wheelchair and ECV (or “scooter”) rental program, but it is not usually the best option available. You can get a rental from an outside vendor that you can use all the time, not just while you’re in the parks. And discounts are available that make renting from a third-party vendor come out cheaper. Read on for our complete guide to renting an ECV or Wheelchair at Walt Disney World! Regular (unpowered) wheelchairs can be rented at each theme park for $12 per day. Disney offers a discount for multi-day wheelchair rentals (which works out to $10/day). You can’t take the wheelchair out of the park — so if you spend the first half of your day at the Magic Kingdom and then want to go over to Epcot, you’ll have to turn in the wheelchair at the first park and get a new one at the second park when you arrive. You only pay the rental fee once per day — if you show your receipt at the second park, you will not have to pay a second time. It’s often cheaper and more convenient to bring your own collapsible wheelchair along. If you need to use an “electric convenience vehicle” (ECV) — also known to some as a “scooter” — to get around Walt Disney World, be aware that the rental is quite expensive ($50 per day plus $20 deposit) and you can’t take the vehicle out of the park — so if you spend the first half of your day at the Magic Kingdom and then want to go over to Epcot, you’ll have to turn in the ECV at the first park and try to get a new ECV at the second park when you arrive. You only pay the rental fee once per day — if you show your receipt at the second park, you will not have to pay a second time. That assumes there is an ECV available at the second park when you arrive, however — they can be in short supply. 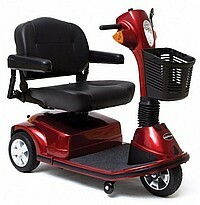 In general it’s a better deal to rent an ECV from an outside firm. Not only is it less expensive, it also guarantees that you’ll have the ECV available all the time, and you won’t have to keep switching vehicles as you move from park to park. For more info for those with disabilities who are planning a trip to Walt Disney World, we list several resources in our Walt Disney World FAQ. A few years ago, after many requests from our readers, we decided to take a close look at Orlando ECV rental companies to see if there was one we could recommend with confidence. We’ve done extensive research, including talking to people who have rented from various vendors, as well as getting feedback from the bell staff at the resorts who accept the deliveries and get the ECVs to people’s rooms. As a result of that research, we are happy to recommend Buena Vista Scooter Rentals. They have more than a decade of experience renting scooters and other medical equipment at Walt Disney World and the surrounding area. They are one of the handful of vendors approved by Walt Disney World to drop off and pick up equipment with bell services at Disney hotels, which is a hugely valuable benefit. Buena Vista Scooter Rentals delivers your rental directly to the bell staff at your Walt Disney World resort hotel (or other Orlando hotel). When you get to your room, simply call bell services to arrange to get the ECV, or pick it up when you check in. When you check out, just get the ECV back to bell services. (Buena Vista Scooter Rentals can also deliver to off-property hotels, but call the hotel or Buena Vista Scooters first to find out how that specific hotel handles deliveries.) In contrast to renting an ECV from Disney, you have a scooter to use outside of the parks, and you can park hop and not worry that the next park may be out of ECVs. We think that the benefits of having a scooter you can take everywhere is well worth paying extra, but you don’t actually pay any extra! Buena Vista’s Scooter Rental rates for ECVs are lower than Disney’s! It’s a win-win scenario! Buena Vista Scooter Rentals also operates the surrey bike rental operations at the Boardwalk, as well as running the bike shop for all of Walt Disney World. This means they have staff on Walt Disney World property all day long, ready to deal with any problems that might crop up. You’re unlikely to have an issue with your scooter, but if something goes awry and their phone support can’t fix it, they can send someone into the park quickly to fix the issue or bring a replacement. Their overall customer service gets high marks from all the customers we surveyed, and the staff at Disney hotels all told us that Buena Vista Scooters is highly reliable and a pleasure to work with. We think their pricing is quite reasonable and we like the specific models of scooters they use. They offer ECVs are from Pride Mobility, which are among the most reliable, comfortable and easy-to-drive ECVs available. They are easy to maneuver on and off the Disney buses, and the staff at the hotels around Walt Disney World are familiar with them and know how to move them, park them, etc. Buena Vista Scooter Rentals guarantees that MouseSavers readers always get the lowest prices available to the public when they use our exclusive link! Reserve an ECV or wheelchair with Buena Vista Scooter Rentals!